This chorus of denial has since been drowned out by a plethora of commentary that has pinpointed the ‘toxic Canberra culture’ as a potent reason for the Coalition’s decline. Defeated Coalition Leader Matthew Guy and John Pesutto, member for Hawthorn, who saw his re-election cast into doubt as he commented on the ABC’s election panel, had the good grace to concede that the Canberra shemozzle was a telling reason for the Coalition’s defeat. Even the State president of the Liberal Party, Michael Kroger got the message and resigned. Now, Coalition members in NSW, petrified about the ‘toxic’ behaviour of their Canberra counterparts, are running a mile to distance themselves for fear of contamination during the upcoming NSW State election. Following his leader, Resources Minister Matt Canavan added that he wanted children in school learning about how to build mines, do geology and how to drill for oil and gas, “which is one of the most remarkable science exploits in the world”. He warned the students that their protest was ”the road to the dole queue”. Clearly, he not only lacks insight into the motivation of the protesting students; he remains intractably wedded to the outmoded technologies that scientists assure us will bring about global devastation and render the planet uninhabitable. He was angry and confused, along with many of his parliamentary colleagues. In response to the PM’s reprimand, one student said: ”Mr Morrison’s comments were ‘ridiculous’. It is as if he expects us to be completely apathetic towards the world and its issues until we reach the age of 18, when we are suddenly supposed to become well-informed voters with our own developed opinions…Mr Morrison says that he does not support our schools being turned into parliaments. Well, maybe if the people in our Parliament listened to the science and took action like those of us in school, we wouldn’t have to resort to strike action like this.” A campaign organiser said that Mr Morrison’s comments had actually boosted the protest’s profile and spurred more people into action. Another example of Morrison’s ineptitude and lack of insight! And it came to pass that the Coalition went even lower in their trashing of democracy and morality. They wasted an entire day today to avoid a defeat that last occurred in 1929. It was in Morrison’s power to extend the session he wasted the day on and could have debated two bills, but not for Morrison and his tawdry Coalition. They would rather dilly at attempting to wedge Labor and attack Shorten at the expense of the Australian people and any skerrick of principle they might have left. Shorten was forced to pass the cryptography bill unamended or face a hammering all through the Xmas break as being weak on terrorism and being blamed for every crime the government could pin on him. There have been so many derogatory words and emotions stated and written about this government and their leaders I can’t add any new ones. But my, they are by far the worst bunch of politicians we’ve ever had set foot in our parliament. No doubt about it ….. It’s time. Josh Frydenberg … trying to convince us … had nothing to do … ”It was a state election run on state issues” he insisted. Not surprised in the least. A key task for any politician is to paint a picture; write a story; manufacture a rationale; or as a sociologist might say construct a reality that large numbers will ‘buy’ and, (most importantly), be prepared to preach to others. It doesn’t have to be true. It doesn’t have to be objectively verifiable (an impossible task). No – what is essential is that it is believable and then believed. 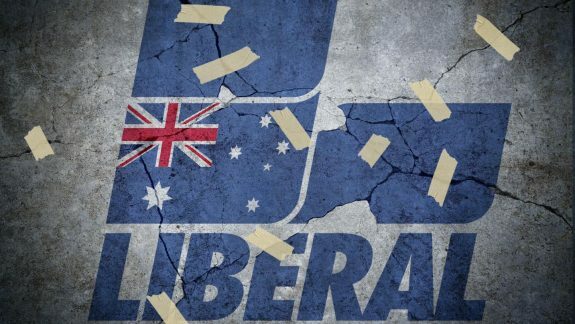 While Josh had the assistance of Abetz and Credlin (both lacking credibility these days – except with those who are ideological blinded), he faced an impossible task. All ideological positions must contain an element of truth – something to fall back on when the going gets tough. Unfortunately for Josh there was nothing sustainable at the core of his efforts. By shutting down Parliament early today the Coalition demonstrated in a most spectacular way they are incapable of governing. The only solution is for Scummo to call an election immediately, get out of the way and stop trashing our democracy. What a disgrace this final day of Parliament was. I see better far better behavior in pre-schools. “Shorten was forced to pass the cryptography bill unamended or face a hammering all through the Xmas”. This is exactly what has brought us to this sorry state. The RWNJs have made it impossible for ANY government in the past decade to enact good legislation on a number of fronts because they and the MSM have controlled the discussion in the general electorate. When is a government, Labor or Liberal, going to take on the media and break it up? The ownership of our media is concentrated to the detriment of all Australians. We’ve known it for years, we complain about it, but we do nothing and we demand nothing. I thank you all for your helpful comments. In the last 24 hours, Morrison has demonstrated how very nasty he is. Morriscum seems a suitable tag. Nothing will change until he and his government are replaced. Let’s hope circumstance dictates that this is early in 2109. Ad Astra, hopefully not another 90 years time (I think you meant 2019 and not 2109). However, it might seem that long. Excellent piece or writing. I thoroughly enjoyed it.